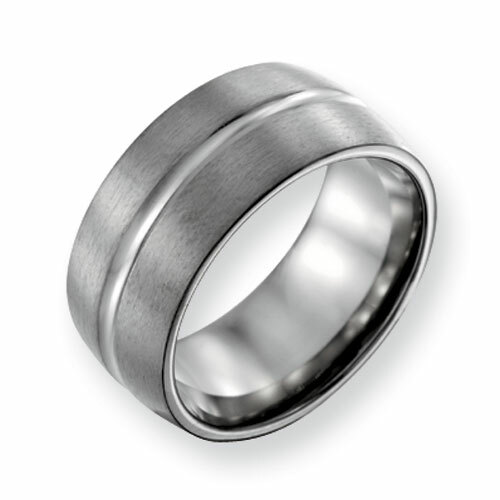 This wide titanium band has brushed sides and a polished groove in the center. Width: 10mm. Made of aircraft grade titanium in the USA. Comfort fit.